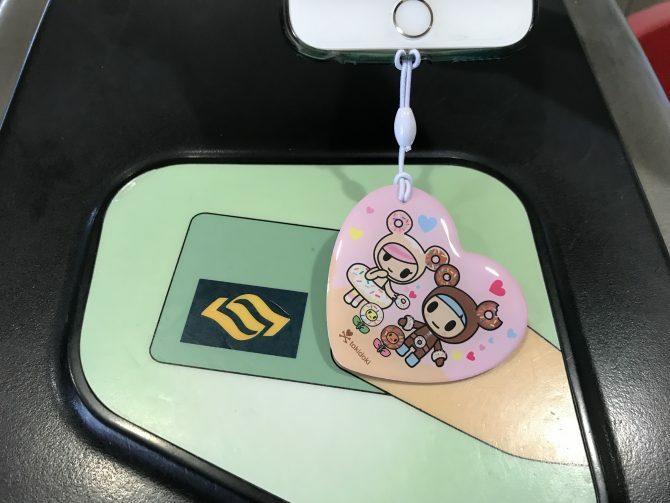 Another month, another new EZ-Link charm to collect. Fans of tokidoki, you’ll love this one – or should we say ‘two’? That’s right, Shopee and EZ-Link have teamed up again to bring you not one, but two EZ-Charms featuring tokidoki characters: Donutella and the Mermicornos! 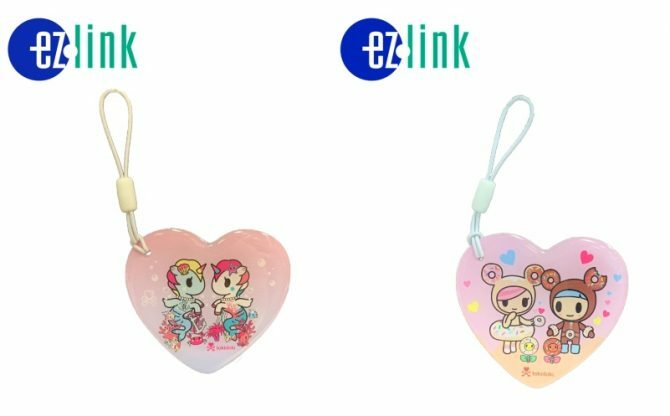 Mark your calendars for 7 February, at 9am, when both tokidoki EZ-Link charms will go on sale online on EZ-Link’s official store on Shopee. You know the drill: snag one for yourself before they’re all sold out! 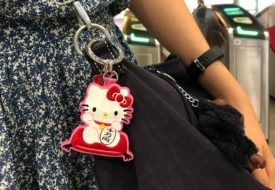 When Shopee and EZ-Link released Fortune Cat Hello Kitty EZ-Charms on 16 January, they were all snapped up within just 24 hours. Compared to most EZ-charms, the new tokidoki ones will be retailing at a more wallet-friendly price of $16.90! We’re also grateful there are two different charms launched this time, doubling our odds of getting one. Which is your favourite that you’ll be getting? 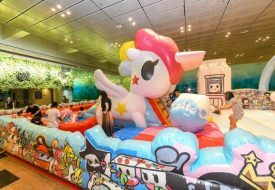 The Japanese lifestyle brand tokidoki has become iconic and well-loved all over the world for their edgy cute characters. EZ-Link had created charms of a few of the most popular tokidoki characters, including Donutella and Unicorno. 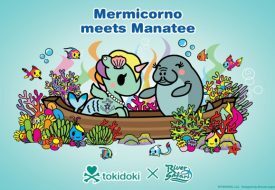 On 7 February, you can get a new Donutella charm, while the other stars the Mermicornos, the Unicorno-mermaid hybrid family. 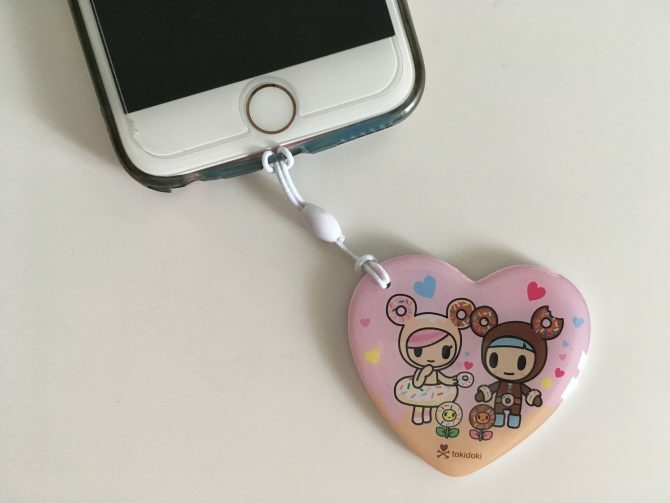 The folks at Shopee kindly sent us a Donutella charm, and we adore it! The actual charm looks just as it is advertised, made of a strong durable plastic. You may have noticed both tokidoki charms are heart-shaped, too. What a perfect couple gift for that special someone in your life for Valentine’s Day, which is just around the corner! Unfortunately for those who’d like to attach your charm to your bag, the new tokidoki charms do not come with a big key-ring hook that would be most convenient for that. But they do come connected to a small elastic strap that you can easily loop and tie it to your mobile phone cover. We strapped it to the bottom of our phone, around the charging port, but you could also attach it to any other spot where your phone cover has a big enough hole. 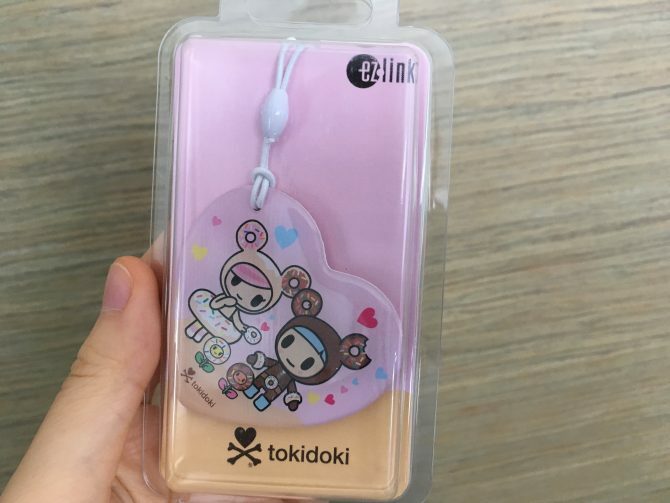 As with all EZ-Link charms, you can use the new tokidoki charm like your usual EZ-Link card and tap it at the reader. Except you don’t have to dig it out and then stuff it back; just hold your phone (which, chances are, you’ll be holding in your hand anyway) over the EZ-Link reader! You can use the charm on buses, MRT trains, taxis and retail places that accept EZ-Link payment. Do not that the charms do not come with any prepaid value in it. 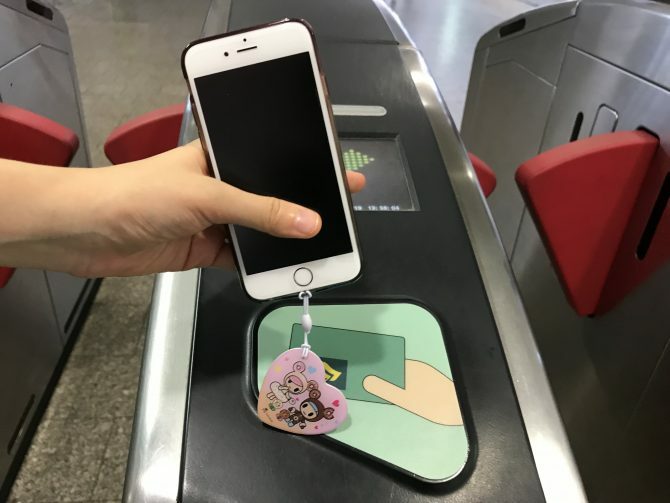 You can top it up just like you would an EZ-Link card, at a General Ticketing Machine at any MRT station, or through the EZ-Link app. The charm will be valid for use for three years. Pretty, practical and less pricey, the new tokidoki EZ-Link charms would make a lovely Valentine’s Day gift or a sweet treat for yourself with your Chinese New Year angpao money! Get Your Hello Kitty EZ-Link Charm On 16 Jan Before They’re Sold Out!